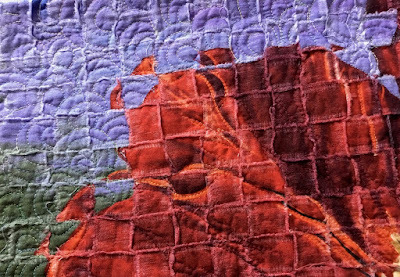 Michelle's hand quilted Art Weave piece. Michelle hand quilted her Iris Art Weave! Isn't it lovely? It was a gift to her mom for Mother's Day. Free-motion quilting and Art Weave. Thread painting, bobbin work and Art Weave. 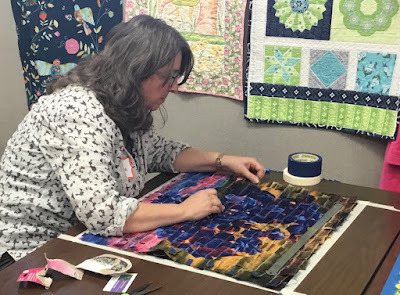 We discuss several options in class for finishing an Art Weave project. But I love it when students put their own spin on their projects—like Michelle did! 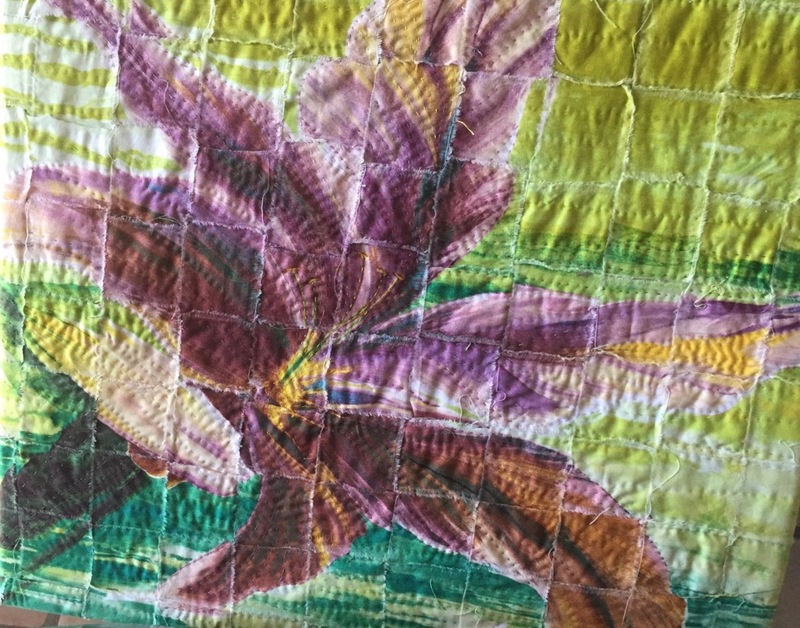 I hope that other students will send me pics of their finished Art Weave pieces. Art Weave class at Chattanooga Sewing Machines and More. Denise and I were in a guild together several years ago. 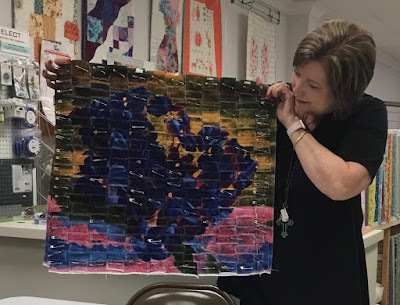 I can't wait to see what she comes up with for her finished Art Weave piece. Denise working on her Violets Art Weave. 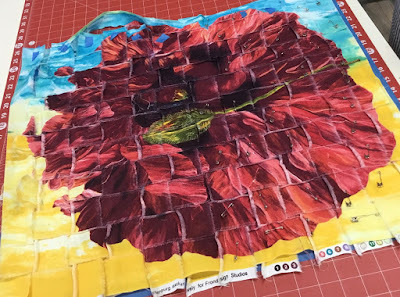 Kyra chose the red poppy for her Art Weave. 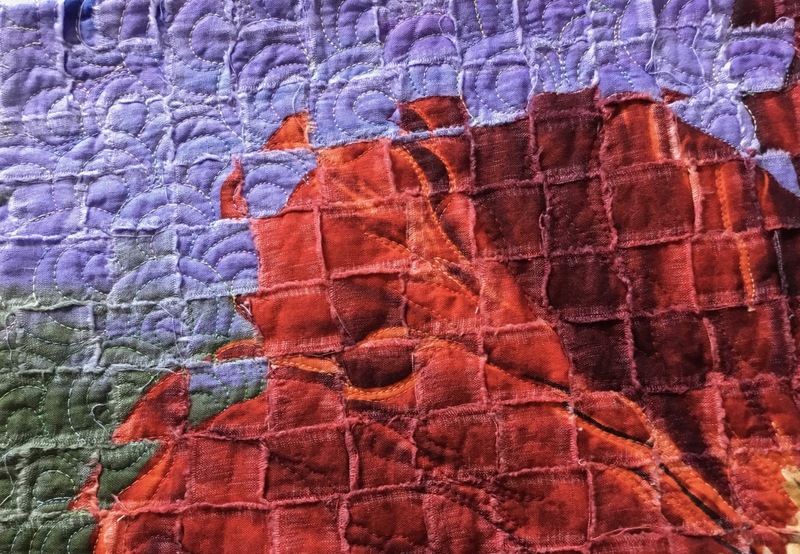 Red poppy Art Weave by Kyra. Art Weave was Danielle's first class (ever!) 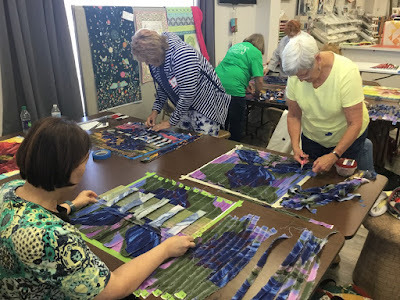 using fabric! 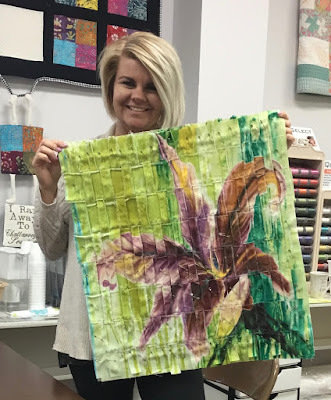 She pushed the limits and experimented with varying strip sizes for her Art Weave iris and it looks fabulous! 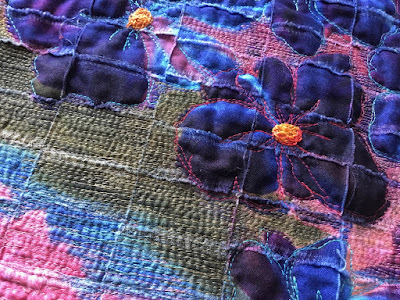 Let Art Weave, fabric, thread and stitch inspire you to new directions.